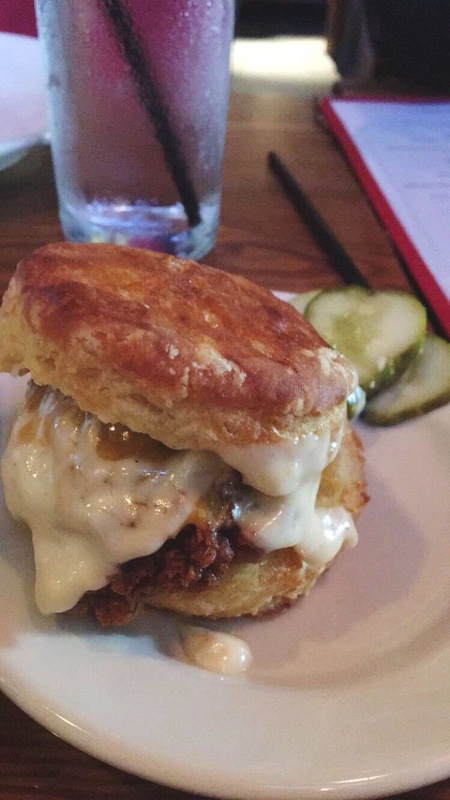 Sunday brunch plans in Austin? 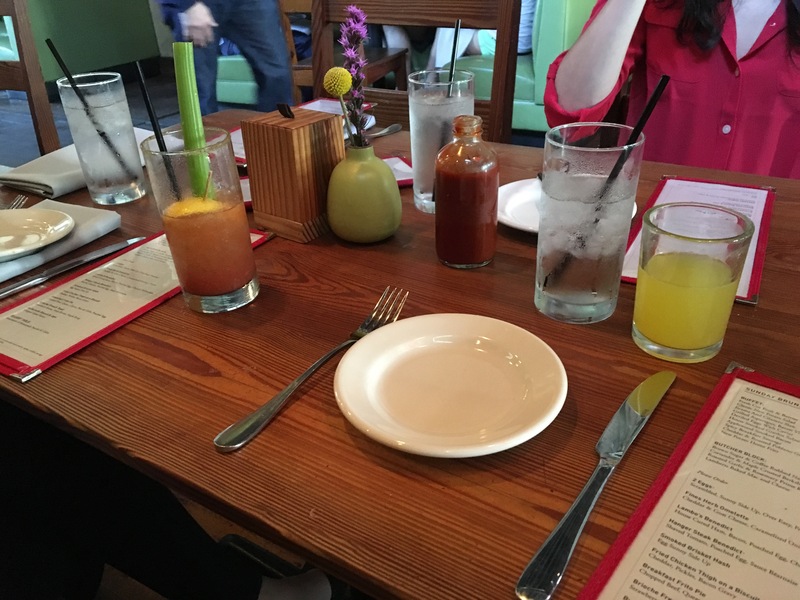 One of my favorite brunches to splurge on is Lamberts Downtown BBQ! 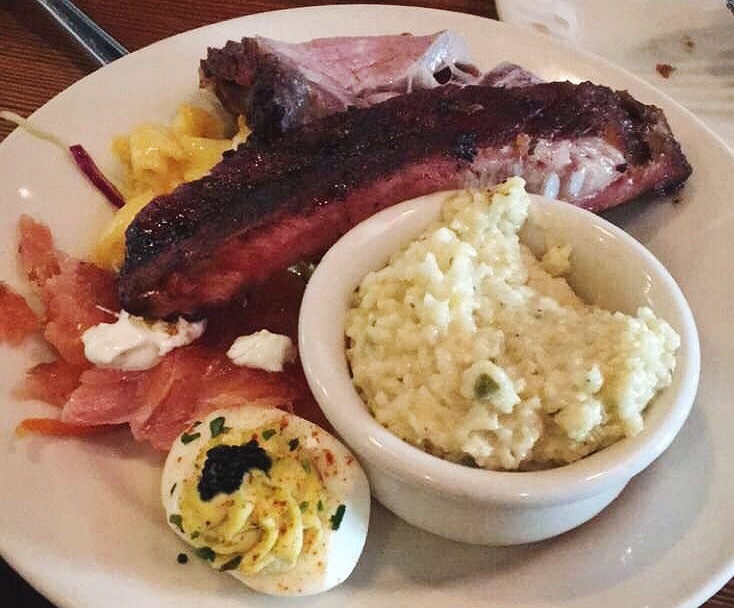 Texas BBQ Sunday brunch dreams do come true! 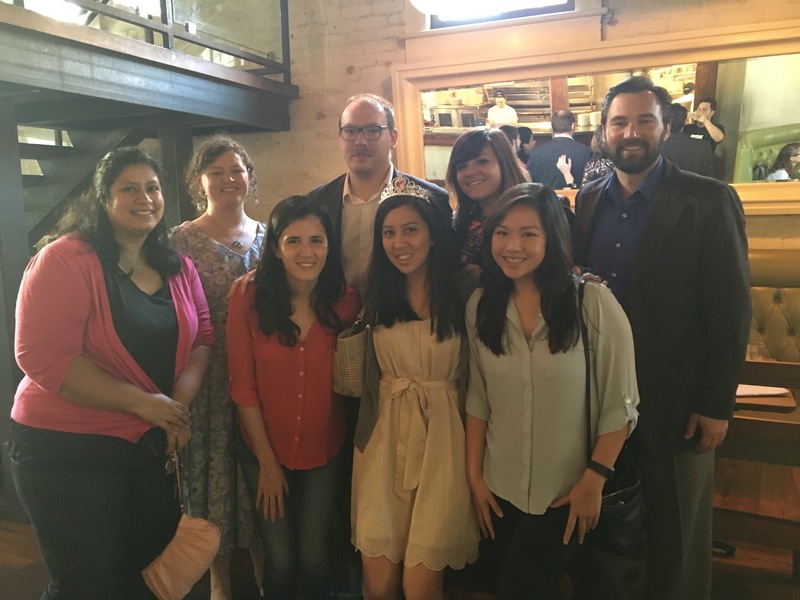 For my birthday, this year, I asked a few friends to join me for brunch at Lamberts. 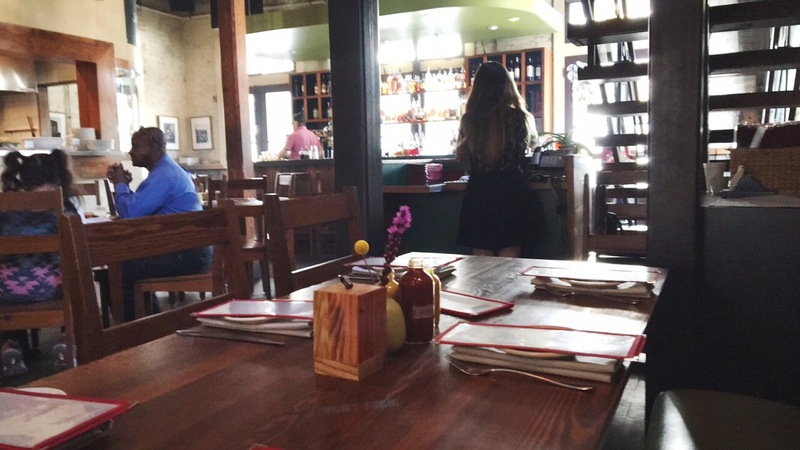 I made reservations and they had our table ready when we arrived. It was right after mass so mostly everyone was running late. We sat down and looked over the menu and decided to order some mimosas and wait for the others. I thought we could order from the single plates from the menu and opt out of the buffet. Turned out that was not the case. $40 brunch buffet for each person that would be eating. Ouch kind of pricey. Good thing mimosas were about $3. Well it was definitely worth it! We got to try everything and it was all mouth watering delicious. They have sides, jicama and cilantro slaw, house smoked gravlox salmon, cheddar and roasted poblano grits and so much more. 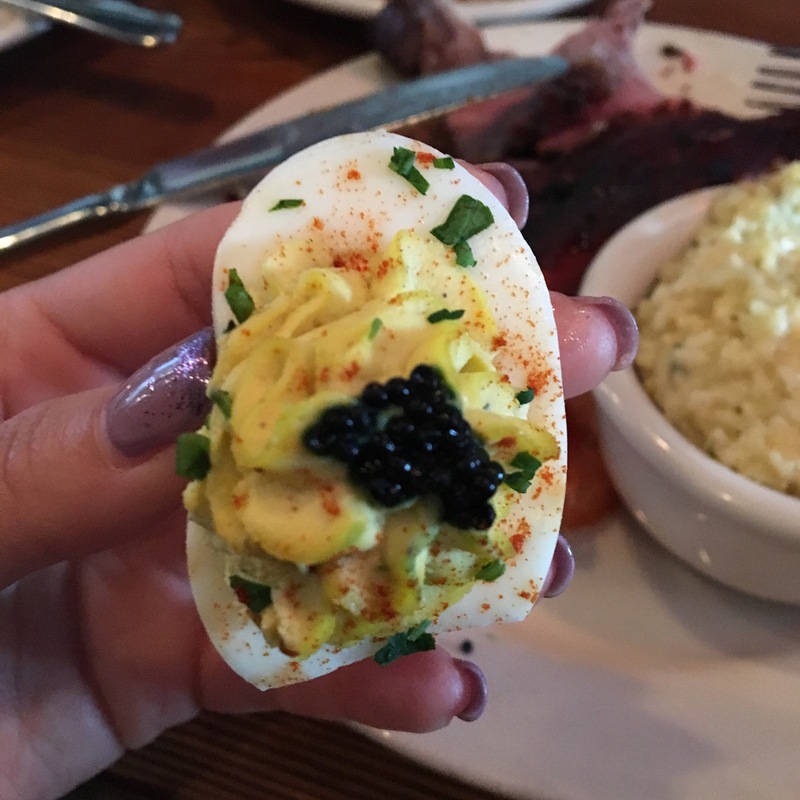 The deviled eggs were amazing and I don’t even like deviled eggs. You can get freshly sliced, brown sugar & coffee rubbed brisket, and Coriander and maple crusted Berkshire pork ribs, roasted garlic & rosemary prime ribs from the butcher block. Don’t forget to grab a big scoop of my favorite, Lamberts baked mac & cheese. Those are just the get up and fill your plate yourself options. There’s still more on the menu! The second half of the menu needs to be ordered from the kitchen and it is divine! My first choice is the breakfast Frito pie, chopped beef, queso, chèvre, pico de gallo, and a poached egg! How can anyone say no to that? 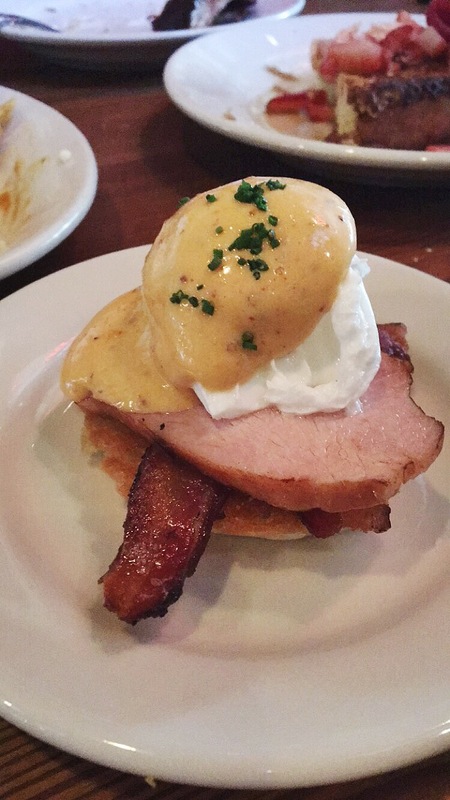 There’s a few different omelettes, eggs Benedict, hash, and biscuits and gravy variations. If you have a group of people I recommend ordering at least one of each and trying a few bites. Mostly everything is juicy and savory, but what about sweets? 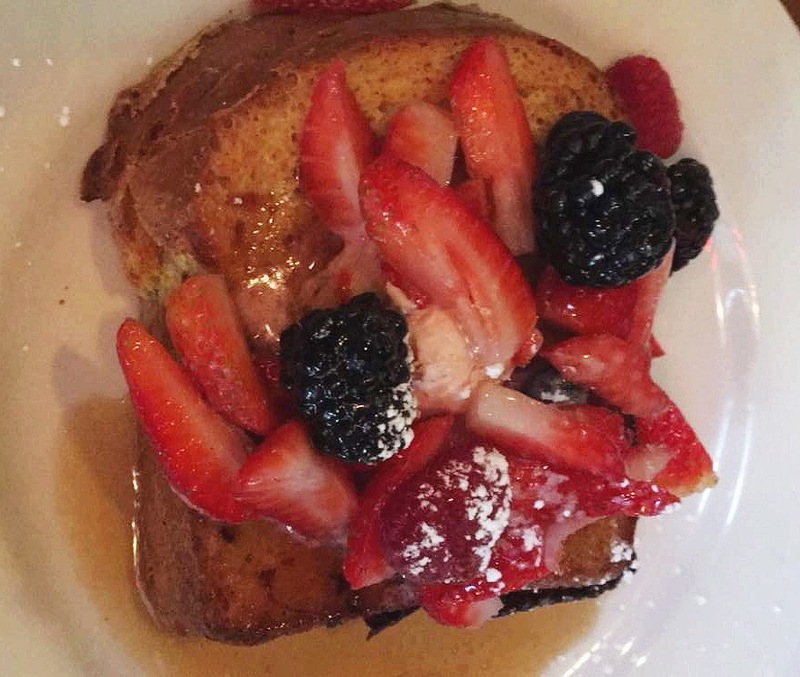 The Brioche French Toast with its strawberry butter is also a must. 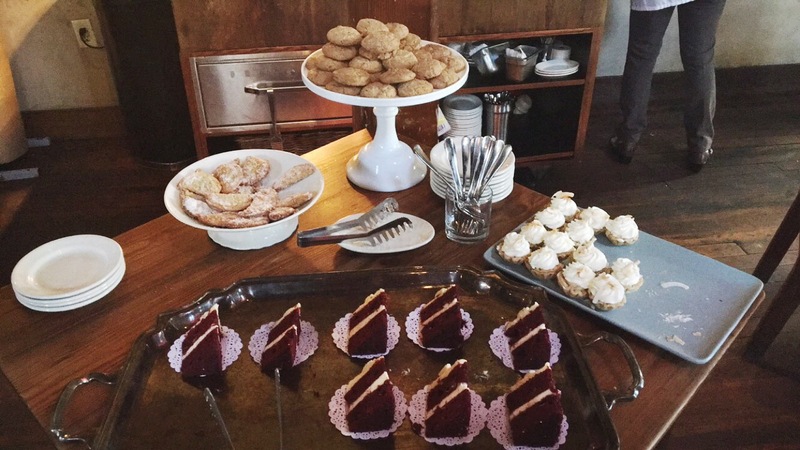 Ladies wear a loosely fitted dress, because there’s still a dessert table, and you’ll want to have room for all those as well! I like the dress your wearing .Where did you get it? Glad I just discovered your blog!!! I’m just in love with this. Hope to try Lamberts out some day.